Empower yourself with a respected nursing degree. 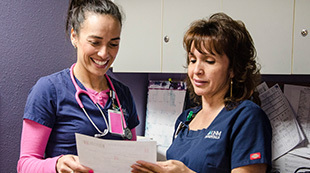 Gain expertise in applying evidence-based practice and prepare for professional leadership roles in delivering high quality, patient-centered care by earning your RN to BSN online at UNM. Acquire the leadership knowledge to advance in your nursing career. All the resources you need to help you in your online journey. At New Mexico’s Flagship University, we’re committed to your success. UNM’s online RN to BSN Degree Completion Option program is designed to provide you with the leadership knowledge you need to advance in your nursing career and deliver high-quality, patient-centered care to the community. Offering support to ensure students’ academic and career achievement, Student Services is your resource for advisement, technical support, library access, FAQs, and other tools created to foster your success at UNM. UNM takes pride in student diversity and community-based culture. With extensive experience in quality online education, UNM is committed to academic excellence and success for all students. 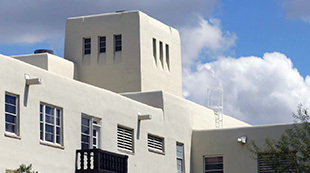 Why Choose the University of New Mexico? UNM emphasizes the importance of health equity in our communities and beyond by working with rural and underserved populations. 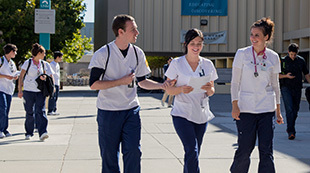 UNM is ranked #26 on Best Value Schools’ list of top-valued nursing programs in 2015. Gain unique exposure to the fast-growing field of genetics and personalized medicine delivered by PhD faculty trained at the National Institutes of Health. The baccalaureate program at UNM's College of Nursing is accredited by the Commission on Collegiate Nursing Education (CCNE). Check out the tuition breakdown and financial aid information available to help you succeed. View important dates, including application deadlines and class start dates, so you can plan ahead. In addition to UNM’s general admissions requirements, there is a short checklist for prospective RN to BSN students.